Taylor Digital Minute/Second Timer Only $6.06 Plus FREE Shipping! You are here: Home / Great Deals / Amazon Deals / Taylor Digital Minute/Second Timer Only $6.06 Plus FREE Shipping! Great for the kitchen, workout room, or home shop, this small digital clock/timer is useful in counting down cooking time, timing circuit training exercises, or tracking paint or wood glue drying time! No bigger than the palm of a hand, the timer is magnetized to stick to a refrigerator or stovetop or, alternatively, hangs via a clip or mounts onto a table with its wire stand. 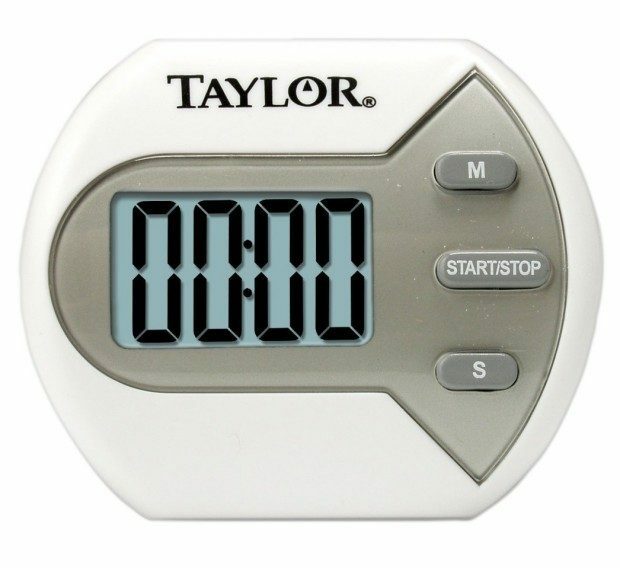 The Taylor Digital Minute/Second Timer Only $6.06 Plus FREE Shipping!